Over the past few years, the shift of the value proposition for consumer packaged goods (CPGs) has led brands and retailers to re-evaluate the modern marketplace. A major factor is the slow economic recovery that’s causing consumers to count every dollar, which is subsequently creating greater competition among major brands and private label producers. Another is the explosion of Internet retailers vastly increasing the marketplace whose pricing structure is not affected by the expenses of a physical storefront. These new scenarios are redefining the tiers of the typical brand model as savvy shoppers emphasize value and price as much as quality in an effort to avoid a sense of sacrifice. Recently, Interbrand took a look at the changing face and future of the consumer packaged goods market and forecast the following trends. As the level of consumer trust in major corporations has continued to dwindle, traditional brand loyalty is increasingly being questioned. Shoppers want to know how these big brands source their products, treat their employees, and conduct themselves on a daily basis. Shoppers are now holding brands accountable for their actions, as well as their products, by preferring to purchase brands that are socially and environmentally responsible. 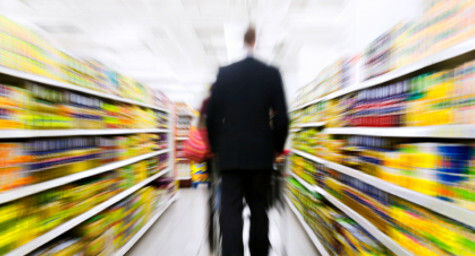 This increased consumer scrutiny is also extending to package labeling and marketing claims. Consumers are tired of empty promises and exaggerated jargon and are now actively seeking proof of brand value. One industry excelling at restructuring its classification of value is the automotive industry. Kia and Hyundai are delivering models that are both well built and well priced to cater to the growing market of drivers seeking cars that are as sensible, reliable, and enjoyable as they are affordable. Ford is also attracting value-focused consumers by promoting its lower-priced models whose higher-quality features are comparable to its pricier vehicles. Overall, the consumer packaged goods industry is experiencing a major evolution driven by the need for brands to justify their value in order to influence consumer purchasing decisions. Brand value is expected to be the great equalizer in 2012 as more and more consumers factor a brand’s price, practices, and principles into their buying behaviors in their ongoing quest to get the most for their money. To learn how savvy marketing can increase your CPG brand’s value, contact MDG Advertising. At MDG, our 360° marketing approach uses just the right mix of traditional and online media to reach your marketing goals. While some industries may fare better in print and others online, we strive to create a balanced approach where digital and traditional advertising efforts support each other and your marketing message is tailored to the medium. To stay on top of the latest trends in consumer packaged goods (CPG) marketing that will make an impact for your brand, contact MDG Advertising.